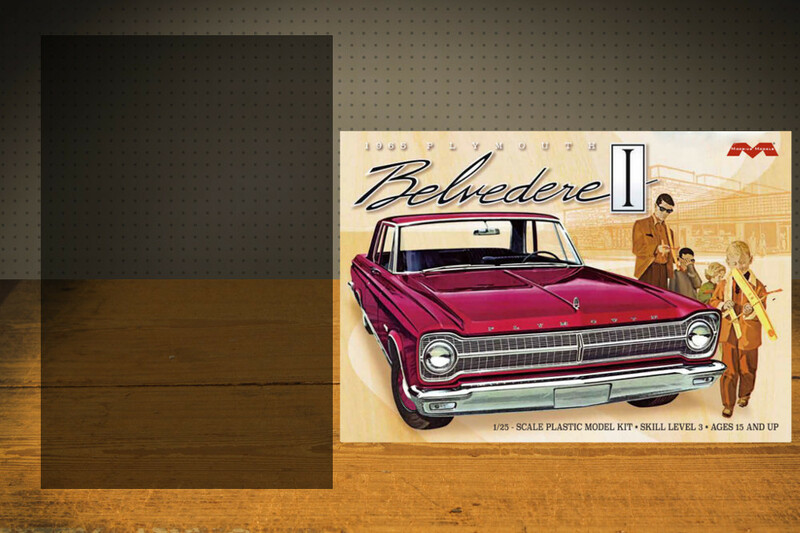 1/25 Plymouth Belvedere. One of the most popular cars at the strip in 1965. Can be built as either single or dual carb 426 Max Wedge. Optional mag wheels and choice of standard radials or drag radials. Experienced modelers only.